Some Nevada residents may be under the impression that estate planning is only for those with large estates. However, they could be wrong in their thinking because estate planning can prove to be a crucial process for the majority of individuals. Estate planning typically involves documents such as a will, durable power of attorney and advanced medical directives, along with a letter of instruction and a living trust. One thing that individuals may want to keep in mind throughout the estate planning process is how to prevent probate. Probate is the administration process of the estate or will of a deceased person. It can potentially be a lengthy process that takes many months or even years in some cases. By excluding assets from probate, cost savings up to five percent of the value of an individual’s estate can potentially be saved. One way to achieve this objective is to put assets in joint tenancy. 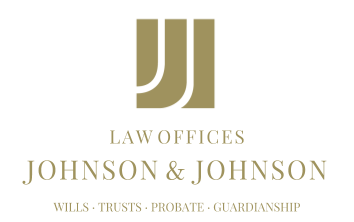 This can be particularly effective in cases where the other person may need to have immediate access to the assets upon the death of the individual who created the agreement. Couples, friends, business partners and even parents and children can simultaneously own assets through joint tenancy. Entering into joint tenancy is brought about by two parties signing as owners of an asset, such as a car or bank account. When one person dies, the other person will take ownership of the asset. Joint tenancy requires careful consideration, as there can be some negatives aspects involved with these types of agreements. No changes can be made to joint tenancy agreements without the other party’s consent, and in cases where the relationship between the joint owners has broken down, this could create a catastrophe. Nevada residents who are considering the option of joint tenancy for some of their assets may want to obtain more information regarding the pros and cons of including such agreements in their estate planning. Not knowing exactly how these agreements work could result in serious issues after one passes away. However, effective management of joint tenancy could result in a smoother transition after an individual is deceased.